The 2018 Commonwealth Games held in Gold Coast, Australia, have now come to a close, and it was a job well done for Canadian athletes. Canada finished fourth in the overall medal tally, racking up 15 gold, 40 silver and 27 bronze medals for a final tally of 82. There was no lack of Thunderbirds representation on the Canadian team, with many returning to campus with some hardware to showcase. 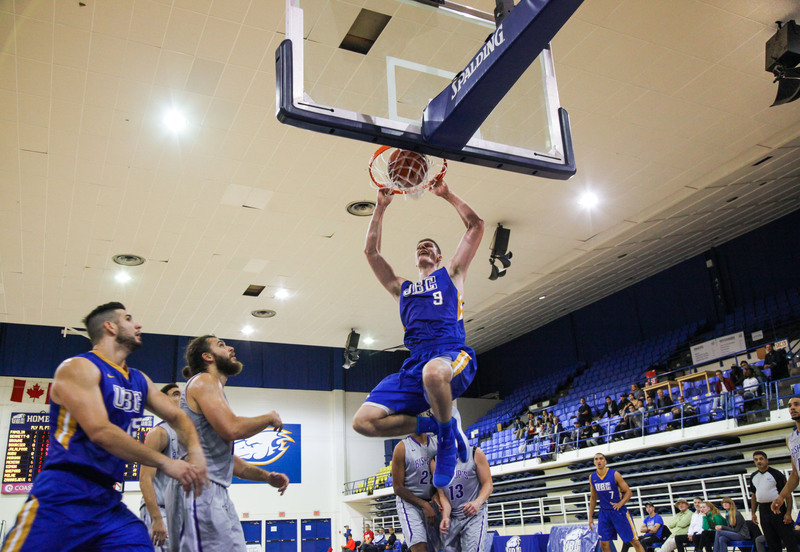 On the Canadian men’s basketball team, veteran T-Bird Conor Morgan and rookie Grant Shephard, alongside T-Birds head coach Kevin Hanson who acted as an assistant coach for the team, helped lead the Canadians to the gold medal game, where they fell to hosts Australia by a score of 87-47. Morgan had some standout performances throughout the tournament, especially in the qualifying playoff round against England where he put up 24 points as the Canadians downed the English 97-79. In the swimming pool, four current members of the 2018 U Sports national championship Thunderbirds team represented Canada. Olympians Markus Thormeyer, Yuri Kisil, Erika Seltenreich-Hodgson and World Championship swimmer Josiah Binnema all took part in individual and relay events throughout the competition. 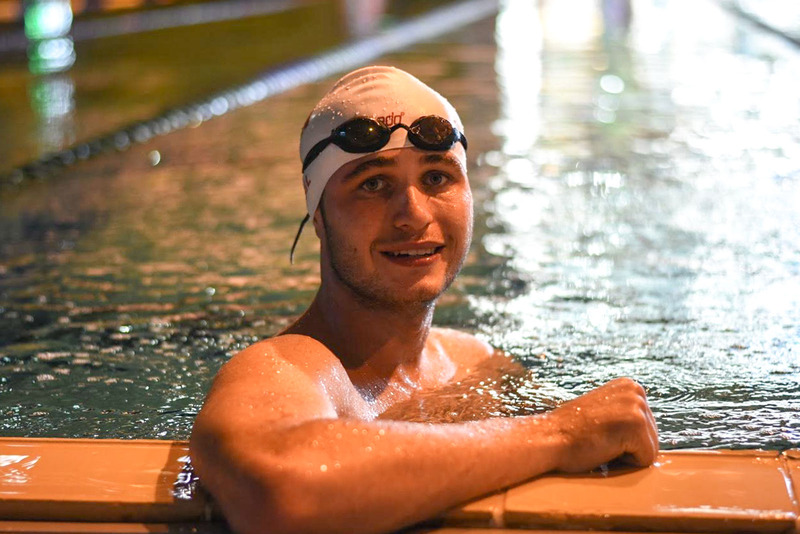 Yuri Kisil was ranked sixth going into the final of the 100 metre freestyle with a time of 48.79, just behind Olympic gold medalists Chad Le Clos of South Africa and Kyle Chalmers of Australia — he swam a slightly slower time of 48.80 to finish seventh. Markus Thormeyer also swam the 100 metre freestyle but finished outside of the final. Thormeyer’s main chance of a medal was in the 100 metre backstroke, where he went into the final ranked second behind 200-metre Olympic medalist Mitch Larkin of Australia. In the final, Thormeyer swam a slower time of 54.14, but still secured a bronze medal behind Larkin and fellow Australian Bradley Woodward — the only medal for the Canadian men’s side throughout the swimming events. This was Thormeyer’s first major individual medal, having collected relay medals from the Pan American Games as well as the long-course and short-course World Championships. Josiah Binnema saw his best race in the 100 metre butterfly — one of his signature events. Binnema swam faster than Le Clos of South Africa, clocking in at 53.49. Binnema swam a slightly faster 53.41 in the semifinals and just snuck into the final with the eighth qualifying spot. He settled for fifth in the finals, while Le Clos took gold in a Commonwealth Games record time of 50.65. The 4 x 100 metre and 4 x 200 metre freestyle relays featured Thormeyer and Kisil. The relays finished fifth and fourth respectively. Binnema also took part in the 4 x 100 metre medley relay. Erika Seltenreich-Hodgson swam in the 200 metre medley — one of her main events — and took home a bronze medal after finishing with a time of 2:11.74 behind fellow Canadian swimmer Sarah Darcel of Victoria and English Olympian Siobhan-Marie O'Connor. 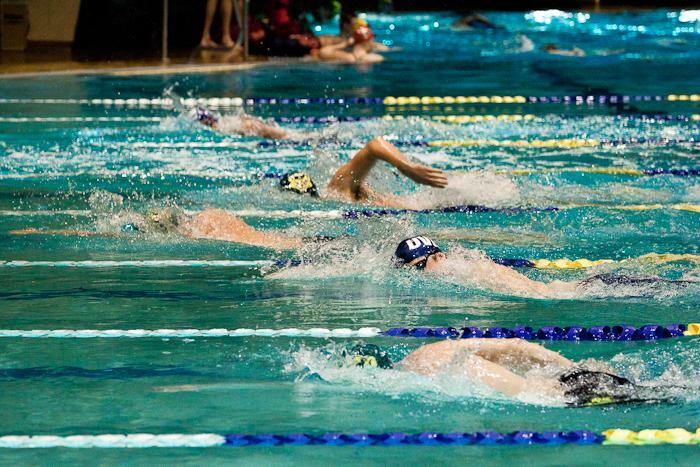 Two other UBC athletes also competed for Canada, though outside of the pool. Fifth-year field hockey veteran and team captain Gordon Johnston took part in the games with the Canadian men’s squad. Canada finished fourth in their pool with a 1-0-3 record and played in the seventh place match against Pakistan, which they lost by a score of 3-1. In Rugby 7’s, T-Birds fullback Andrew Coe claimed a spot on the Canadian roster. The games had no shortage of Thunderbird alumni either, with former ’Birds Evan Dunfee and Benjamin Thorne both participating in race walk events, several UBC women’s field hockey players taking a place on that squad including recent T-Birds Rachel Donohoe, Hannah Haughn and Stephanie Norlander,Matthew Sarmento from men’s field hockey, and Carson Olafson representing UBC in the pool. Overall, it was a fairly successful Commonwealth Games for Canada, and one of the best performances for current and former Thunderbirds athletes.